ATRS is a key supplier of top quality post consumer textile material graded specifically for a diverse range of clients, distributors and industries. ATRS maintains strong personal relationships with its global client base and conducts annual site visits to ensure quality standards are met. ATRS receives and supplies textile material FOB directly from our USA warehouses. All inbound and outbound freight is prepaid. There is high demand for high quality product bearing the ATRS signature globe logo. At this time distributor demand exceeds our supply. We committed to growth to fill this market need. Please email us with your business inquiry: sales at atrsonline dot. All it takes is 5 square feet! 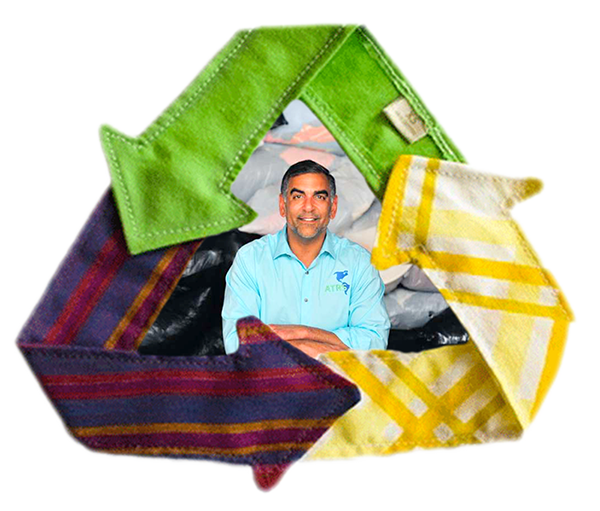 American Textile Recycling Sales (ATRS) is a leading distributor of post consumer secondary textile materials which is graded and sorted for many industries.